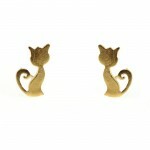 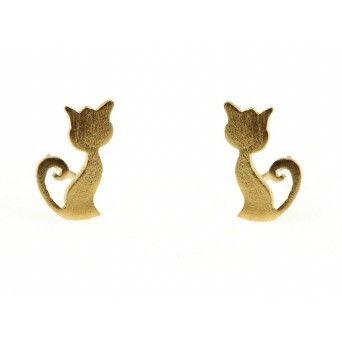 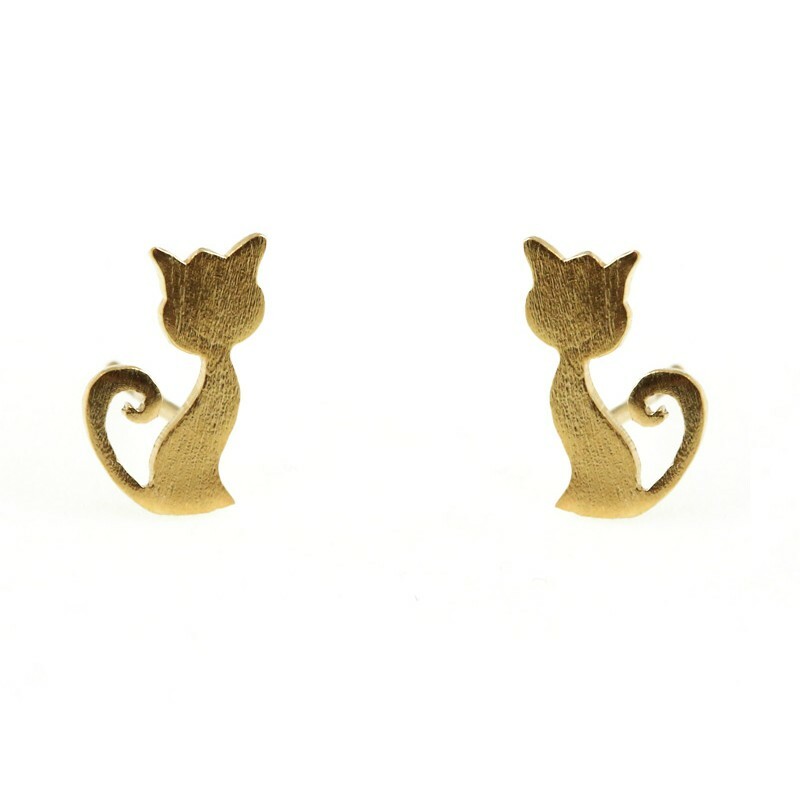 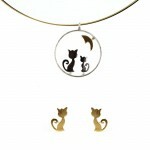 Handmade jewelry set with gold plated silver cute cat stud earrings and handmade awesome silver cats and moon necklace. 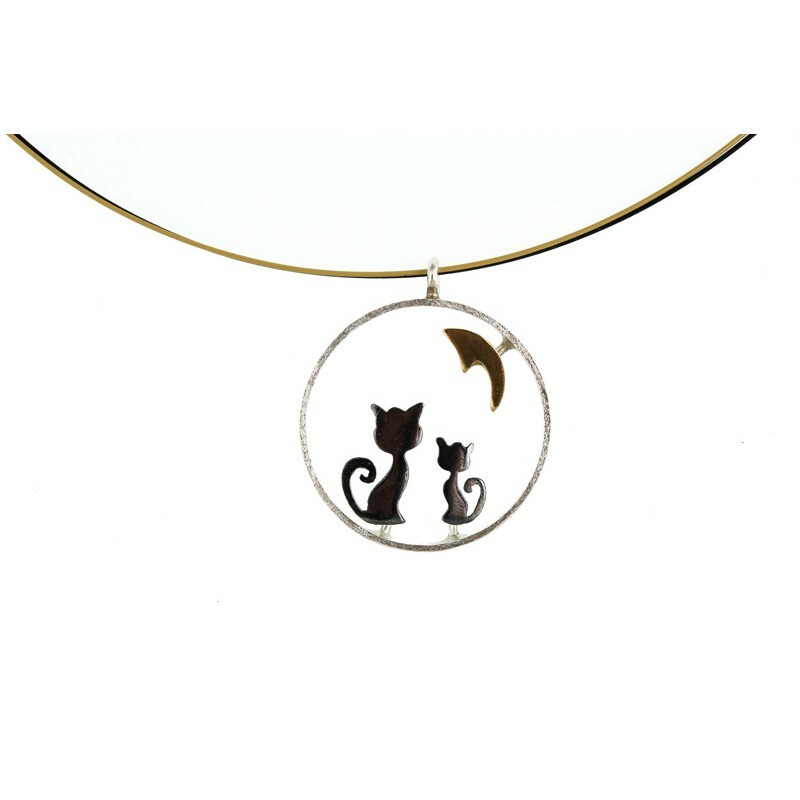 The round pendant made of silver, black rodium and gold plated sterling silver is hanging on a double collar made of black fishing line ang gold plated steel with silver endings. 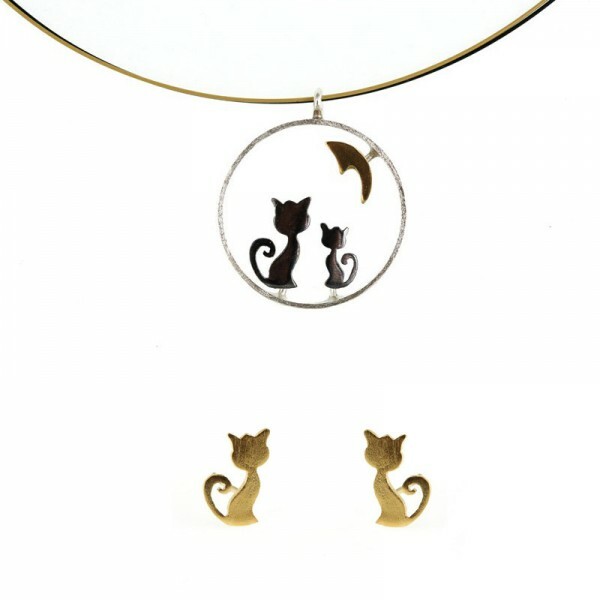 A unique jewelry set for you or your dear one! Handmade awesome silver cats and moon necklace. The round pendant made of silver, black rodium and ..